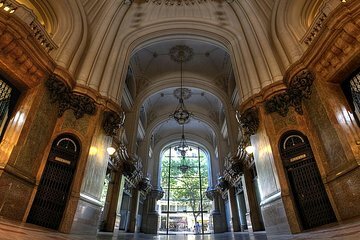 The magnificent Palacio Barolo is one of Buenos Aires’ most impressive architectural landmarks, inspired by Dante Alighieri’s “The Divine Comedy”. On this tour, discover the building’s fantastical design and its connections to the iconic literary work, with the help of an expert guide. During your visit, enjoy a Spanish-language reading of poetry by legendary Argentine writer Jorge Luis Borges, and take in the views from the old lighthouse.